In the event of a cancellation or delay due to rain, you are required to notify league officials and the opposing manager as early as possible to avoid unnecessary travel. Home teams are responsible to have home field playable when weather permits. Any cancellations or delays will be posted on the schedules for each individual game. Please do not assume your game is cancelled, please check the website. 9.05B Wooden Bats. The following rule will apply to NABF Regional and National Championship Tournament Games. The bat shall be a smooth round stick not more than 2 ¾ inches in diameter at the thickest part and not more than 42 inches in length. The bat shall be one piece of solid wood. Cupped Bats – Forming an indentation in the end of the bat up to one inch in depth is permitted and may be no wider than two inches and no less than one inch in diameter. The indentation must be curved with no foreign substance added. Wooden Bats as described under Rule 9.05B – Wooden Bats must be used in all Major, College, Senior, High School, Junior and Sophomore Division National Regional and National Championship Series Games with NO exceptions. No colored bats may be used in a NABF Tournament Game unless approved by the Major League Rules. The official colors are natural, black, burnt orange and hickory or brown. (A) The following pitching restrictions shall apply to all Rookie and Freshman Pitchers. 4. Pitchers shall be charged with 1/3 of an inning for each batter he retires during an inning. (D) Major league balk rules shall be used in Series games. (E) Pitchers shall not be allowed to return to the game as a pitcher once removed from the mound but may play in another defensive position if eligible under the substitution rules. Below you will find helpful information for administering your NABF associate league in preparation for our post-season tournament competition. Playing Schedule. Our playing schedule dates by age group is located on our web site at www.nabf.com (also see attached). Forms Available on NABF Web Site. The required league/team registration forms are available on our web site, www.nabf.com. Simply locate the required form, type in the information required, click the print indicator, sign the form and mail with required fees to NABF, PO Box 705, Bowie, MD 20718. In addition, we will mail forms upon request. Penalty Fee. Leagues that failed to send their respective teams to an assigned tourney site must pay a penalty fee of one hundred dollars ($100.00). Review Rule Books. 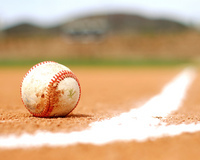 All franchised member organizations are reminded to review the rules and packet information with team managers prior to their departure for the assigned NABF tourney. All members are reminded to review their NABF rule book and tournament information packets well in advance of the report dates of the assigned national tournament event. See rule 2.10 Franchise Member Responsibilities. Insurance. NABF recommended team insurance is available through Frazier Insurance of Richmond, Virginia. Liability and excess accident insurance is mandatory if participating in any NABF event. NABF insurance is underwritten by “A” rated or above insurance underwriters. Phone (804) 754-7610, email forms@frazierinsurance.com or visit the web site at www.frazierinsurance.com. Tournament Sites. Assignments for league and tournament information packets with a rule book will be mailed to the NABF members’ respective office or designated officer between June 15 and July 20th of the current season. Have a great season and enjoy each day of baseball competition. Questions? Contact your respective NABF age division director. 1.Avoid Contact Rule applies at all LIBA/Diamond Pros games:"A runner who fails to make a reasonable attempt to avoid a collision with a defensive player shall be called out. Any other runner advancing on the play shall be required to return to the last base visited. In the event that an umpire determines that a collision was flagrant (i.e., attempting to bowl over the catcher when it is clear that he has the ball and is waiting to apply the tag...), he has the authority to eject the offending player from the game. In the event of an ejection, that player will be suspended for the following game or longer"
2. Each team will be home team in one of the 2 games of a doubleheader. Home team for the game supplies balls for that game. Umpires are paid prior to the beginning of the first game. 3. Follow the typical MLB rules unless specified in this set of rules. THERE ARE NO HOUSE RULES REGARDING PLAYING RULES. A. The player must return to his original spot in the batting order. B Only a starting player is eligible to be reinserted and he may only be reinserted once per game. 5. Infield fly pertains to the 12+ division and older. (a) a team must have ten or more players prior to the start of the game. a. A team is not ready to play 20 minutes after the scheduled game time. In the case of a double-header, the umpire will wait an additional 15 minutes before calling for a forfeit of the second game. b. A team is unable to field at least 8 players throughout the entire game. A team may play with eight players. When playing with eight players, the vacant slot in the batting order is an automatic out. If a ninth player arrives, he may be inserted into the game in the vacant slot and is considered a starting player. 9.In any 51-70 division, there are dropped third strikes, infield fly and regular leading. One warning per pitcher, instruction and then enforcement with balks. 10. In all six inning games there is a 2 hour limit, no inning may start after 1 hour 45 minutes. In all seven inning games there is a two hour 30 minute limit, no inning may start after 2 hour 15 minutes. In all games, any inning started must finish unless mercy rules applies Tied games can be played one extra inning if within the time limit. 11.There is a ten run mercy rule in the 12+Division after 4 complete innings, the inning does not have to be completed after the fourth inning for the mercy rule to apply. No equal at bats after 4 complete innings. 12. There is a ten run mercy rule in the 13U-18U after 5 complete innings, the inning does not have to be completed after the fifth inning for the mercy rule to apply. No equal at bats after 5 complete innings. 13. Any rule discrepancy must be protested immediately with the umpire and tournament director. 14. Respect the game, respect the fields and respect each other. 15. Any ejection by a player or coach will result in a one game suspension to be served in the next game.